3. Joy, Benny Nowhere [unissued] uniss. 4. Joy, Benny Crash the Party [alt. vers. 2] [unissued] uniss. 5. Joy, Benny ' Hey' ... High School Baby! [alt. vers. 1] [unissued] uniss. 6. Joy, Benny I Really Really Care [unissued] uniss. 10. Joy, Benny Steady With Betty [alt. vers.] [unissued] uniss. 11. 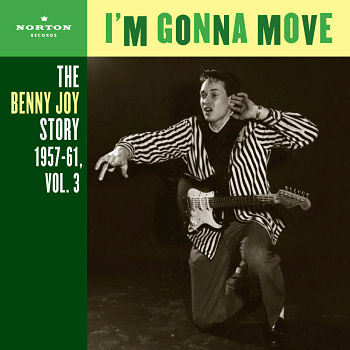 Joy, Benny Don't Make A Fool of Me Baby [unissued] uniss. 12. Joy, Benny Don't Boo Hoo Mary Lou [unissued] uniss. 13. Joy, Benny If You Were Mine [vers. 2] [unissued] uniss. 14. Joy, Benny Lucky Little Old Me [unissued] uniss. 15. Joy, Benny Only One [unissued] uniss.